Queen Elizabeth II joked that she is made to feel old by the new Canadian Prime Minister, Justin Trudeau, aged 43, after he spoke of her historic visits to Canada. 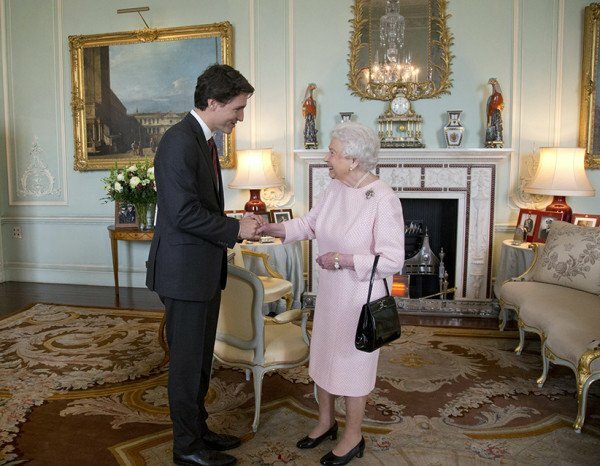 Justin Trudeau had earlier toasted the 89-year-old Queen at a banquet for the leaders of Commonwealth countries, taking place in Malta. He referred to the Queen’s trips to Canada, including one in 1982 when she was welcomed by his father – the former Prime Minister Pierre Trudeau. Justin Trudeau took to Twitter to explain his view, saying “on the contrary, you are forever young”.